So you’ve made the decision to use vinyl siding on your next project – now what? Color! KP Vinyl Siding comes in a wide variety of colors to suit any project or homeowner. 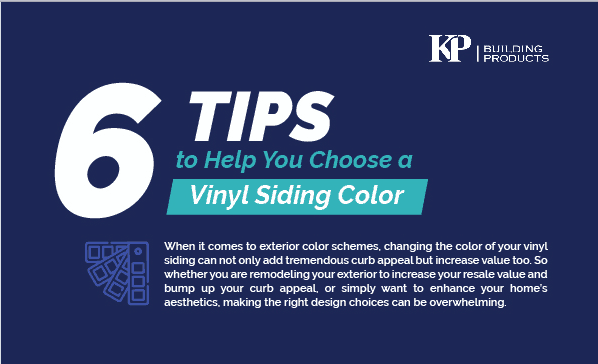 There are a few things to consider when selecting a vinyl siding color including the home’s style, the landscape around it, and more!